As a winner of this giveaway you can choose one item from Rose Wholesale which is under 20 dollars, shipping included, and you will get it shipped to you immediately by Rose Wholesale. (Don't worry, 20 dollars may sound like it's not much, but they have so many low priced items, that you won't even be able to choose!). For how long have you been blogging? Do you still enjoy my posts or do you want some change? I am in love with statement necklaces at the moment, so definitely the rhinestone necklace! Happy anniversary! Keep up the good work for many more years to come. Congratulations on the success of your blog Carmen! May you have many more wonderful and inspiring years of blogging ahead. Congratulations! 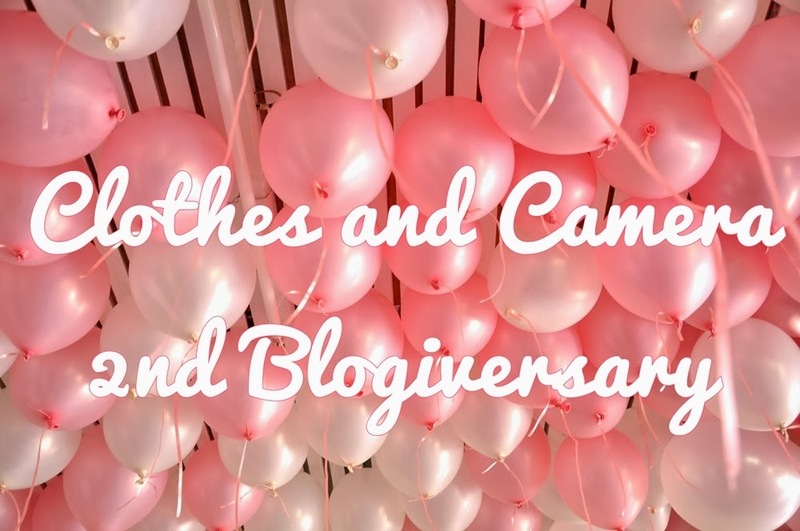 I just passed my one year anniversary and have 253 followers on Bloglovin so hope to be where your at in a year! Congrats to your blog birthday!! And tatataaaa you have a new reader and follower... guess who? Congrats so so much! You deserve it for your amazing word, blog, words and looks :) Kisses!! and sure doesn't look like 18$! Congratulations on your Blog anniversary! I always enjoy reading your posts. All the best to you and your Blog. Happy Blog-BDay!! Ich freue mich schon, wenn ich mal soweit bin :) Na klar mache ich da gerne mit, super tolles Give-Away Ich kann mich aber nicht entscheiden, ich finde die Kette und den Pullover total hübsch. Happy birthday beautiful! today you begin your own new year, I wish you the best year of all... may all of your wishes and dreams come true! Congrats Carmen! How exciting! You've done so well and you have such a beautiful blog. Wishing you all the best! Hi Carmen...I hope you find great inspiration in your week ahead. I'm a bit late! Happy Birthdaaayyyyyy!